A top official of the Roads and Transport Authority (RTA) has said that deferring of the tendering of the Purple Line of Dubai Metro might result in the Red Line being extended to meet Abu Dhabi’s planned Metro line at the Dubai-Abu Dhabi border, where the individual lines would end. 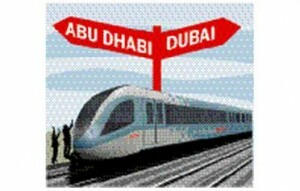 “Since we are near the Abu Dhabi border and if we did the extension of the Red Line, due to the postponement of the Purple Line, we will be more than open to integrate with them,” said Abdul Redha Abu Al Hassan, Director of Planning and Development at the Rail Agency of RTA. However, Hassan clarified that it would not be a single line flowing across the two emirates and passengers would have to stop and change trains. Hassan also dispelled rumours about tremors affecting the lines. “The station designs and the lines have taken all seismic studies into account and it is safe,” he said. The Purple Line was supposed to be completed in 2015, however the tender has been deferred.